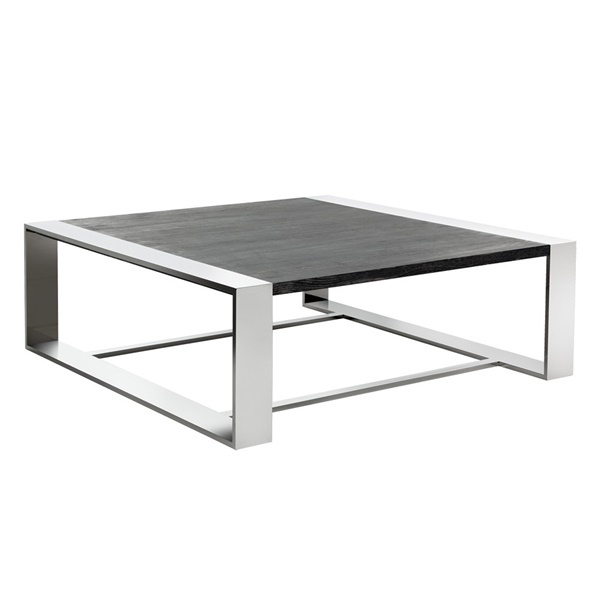 This knockout Dalton Coffee Table from the Club Collection is sleek, modern, and refined. The piece works in a contemporary home or office space and coordinates impeccably with other available Dalton items in the Club Collection. This impressive, open frame coffee table features high shine, luminous stainless steel in a geometric pattern for increased strength and added design. A distressed German oak veneer tabletop adds a natural feel to the piece.